between the Western churches was a bitter one not only in the West; it was carried over to the East, where each of the churches involved in the struggle, strove to win over the Orthodox to its own side. Under the inspiration of Pope Gregory XIII (1572-1585) and by the creation of various monastic orders (and that of the Jesuits in particular), bases were established in the East from which Roman Catholicism could be promoted. The Jesuits spread throughout all the Greek lands and attempted to infiltrate into the very ark of Orthodoxy, the Holy Mountain itself. It is maintained that the relations between the Jesuits and Athos go back to the 16th century, but the written historical evidence we possess, dates only from 1611, when there is mention of a monk from Athos who was a disciple of the Jesuits at Constantinople. At various times a good number of Athonites visited the Jesuit monastery at Constantinople, where they were given a warm reception . 1. See G. Hofmann, Athos e Roma, OC, vol. 5, part 2, Rome 1925, pp. 151-153. 2. Fr. Richard, Relation de ce qui s'est passé de plus remarquable a Saint-Erini, isle de l'Archipel..., Paris 1657, pp. 54-55. 3. In actual fact Nicholas Rossi remarks in a letter to Monsignor F. Ingoli: "... ma i nostri Greci odono hoggidi gl'Inglesi et Fiammenghi et simili furie infernali heretici Calviniani et Luterani"; see Hofmann, ibid., p. 75, where there are other interesting details to be found. 4. G. Hofmann, Rom und der Athos, «Orientalia Christiana Analecta», no. 142, Rome 1954, pp. 7-8. See also p. 27.
of the Sacra Congregatio, Bandini . They assigned the execution of this task to the apostolic missionary and priest, Nicholas Rossi of Návplion, who had already attended the college of St. Athanasius (from 6 December onwards), where he had studied grammar, rhetoric, philosophy and, after two years more, theology . Fig. 62. An orthodox monk of the 15th century. 1. See in P. Gregoriou, Σχέσεις καθολικῶν καὶ ὀρθοδόξων, Athens 1958, pp. 167-168, where the relevant bibliography is to be found. 2. Hofmann, Rom und Athos, p. 1. Concerning K. Rossi, pupil of the Greek college of St. Athanasius at Rome, see p. Ρ. Rodotà, Dell' origine, progresso, e stato presente del rito greco in Italia, Roma, vol. 3 (1763), pp. 175-176.
favour of 'union', if ever he were to re-ascend the patriarchal throne. But Rossi's stay on the Holy Mountain was relatively short, as the situation there had become intolerable, what with the oppression, fines and harassment from the Turks, who had taken a census of the monks, and had ordered the expulsion of all foreigners. Rossi was finally compelled to retire to Thessalonica in 1641, where he continued his didactic work among Athonite monks (see fig. 62) and to some extent among the laity . By the end of 1638, the Holy Mountain was in a turmoil. The Turks had begun a furious reign of terror, imprisoning and beating people for the slightest thing. The reason for all this was the setbacks they were facing in their encounters with the powerful Christian states, the suspicion and exasperation they felt in the face of the moral support that the monks lent to the embattled Christians, and their sheer greed for plunder. Thus the Turkish envoys demanded 3.000 sequins in support of the war with Austria, and conducted a search to discover escaped Christian slaves or Turks who had become Christians. In the course of this search three people were arrested and the monks scattered and fled. Finding themselves in such a pitiful plight, the monks appealed to the Bostancı Başı; but their position was a difficult one, since the 'molla' (chief judge) of Thessalonica accused them of being rebels, of harbouring fugitives and of supplying biscuits to the Christians bertoni (large sailing ships)  and more especially to the pirate vessels which plagued the Aegean and prevented the islanders' craft from sailing from one island to another . Some relief was afforded the monks during this difficult period by the charity which the Wallachian ruler, Matthew Basarab (1633-1654), bestowed on them (for instance, 2.000 kuruş in 1637 and a similar sum in 1638 ). 1. 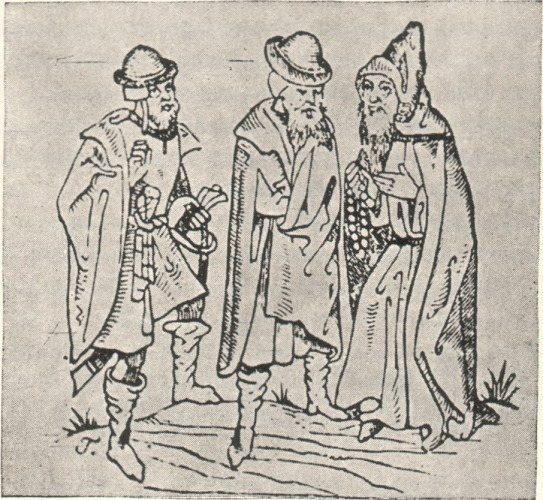 Hofmann, Rom und Athos, pp. 1-2. Details on pp. 9-11, 11-14, 30-31. See the texts of Rossi on pp. 39 ff. passim, where there are details about the school. See also Gregoriou, Σχέσεις, pp. 168-172. 2. See Hofmann, ibid., pp. 67, 70-71. 3. Hofmann, ibid., p. 72. 4. See Hofmann, ibid., p. 67.
continued to be pronounced against them. As a result, the monasteries were compelled to mortgage their estates . But the monks and the monasteries themselves must bear some blame for this lamentable situation. Such a depth of hatred divided them, that one monastery might well have wished for the destruction of another. The Turks naturally took advantage of the dissention between them, while they oppressed them and bled them white. Nicholas Rossi was of the opinion that a large part of their sufferings arose from the ignorance and low educational standards of the abbots . Such a situation was, of course, anything but favourable for Rossi's didactic and propagandist mission. In addition to the Turks, he was assailed by those monks who inclined to the Reformation and were under the influence of a Reformist monk who had lived for more than 30 years in England. Who was this man? Rossi does not mention him by name, and so the problem invites further research. There were, however, some monks who were favourably inclined to Roman Catholicism, namely the Uniates and the Greek abbot of the monastery of Panteleïmon in particular . The abbots adopted a generally unfavourable attitude towards erudition in monks; in their minds education did not constitute a necessary requirement for those who followed the way of God . At Thessalonica Nicholas Rossi taught the Greek language, classical authors and logic. He also gave instruction in the 'Mysteries' so as to refute the underlying ideas as expounded by Luther and Calvin . 1. Hofmann, Rom und Athos, p. 89. 2. Ibid., pp. 64-65, 87, 89. 3. Ibid., pp. 28, 29-30. See the text of Rossi himself on p. 62. See, too, on p. 90 a letter dated 15 Aug. 1640 to F. Ingoli, where Rossi speaks about monks who persecuted him, and gives their names: "Sentita che ebbi la partenza di quel barbaro turco da Monte S(an)to et insieme malamente fugiti quelli malvaggi spioni et calumniosi monaci ritornai...". The monastery at that time contained 150 monks, Ruthenians (Ukrainians), Bulgarians and Greeks, the latter constituting the majority. See also p. 29. See the text of Rossi himself on pp. 37-39, 53. 7. Ibid., pp. 25-26. See the relevant texts on pp. 70-71, 97-98.
nasius (between 1639 and 1641) two monks from the Holy Mountain, Benjamin and Demetrius, as well as a deacon from Thessalonica, a certain Meletios . The extant letters of Nicholas Rossi addressed to the 'Congregatio' (numbering 27 in all) provide us with some interesting and reliable information, which may be summarised as follows: (1) that which concerns the internal organization of Athos, the administrative organs and the role of its officials; the sympathy that the monks showed towards men on the run, slaves, Moslems who had become Christians, and youths seeking to avoid the 'youth-tribute'; (2) information about the 8 rich monasteries (not mentioned by name) and the reasons for the decline of the religious life in the remaining monasteries (Rossi attributes this to ignorance, to soliciting alms, to the lack of prudent and worthy-spirited leaders, not to mention oppression on the part of the Turks ); (3) details about the Turkish authorities on Athos, the taxation, the periodical extortions, fines and various other acts of Turkish oppression; and about the arbitrary behaviour of a tyrannical government in general ; (4) descriptions of the various holy relics and treasures in the hands of the monasteries ; (5) details about the libraries and the manuscripts they contained , about the training of the monks, their spiritual development and activities, and about the general trend of thought and opinion current in that remote home of Orthodoxy ; (6) information about the number of monks in the various monasteries and cells and of the hermits (about 8.000 in all), with details of the monastic life; about the dependencies in Sithonia, Cassandra and the Thessalonica region, as well as those further afield in Thasos, Wallachia and Moldavia; about the produce from their estates, the agricultural activities of the monks on the 'metochia', their skill and artistry (especially apparent amongst those of the cells) in the arts of woodcarving and painting in particular; and about the spirit of hospitality and general philanthropy, which had not died out, for all the poverty that the monks endured . 1. Hofmann, Rom und Athos, p. 27. 2. Ibid., pp. 2-3. See also p. 4; and again pp. 11-14, 39-42, 55-61. 4. Ibid., pp. 17-20, 84-85, which are particularly interesting. On p. 86 there is a description of the Turkish admirıistrator of the Holy Mountain, which is very typical of the times. 6. Ibid., pp. 2-3. See also p. 4. 7. Ibid., pp. 22-24. With regard to the administration and internal organization of the monasteries, see the interesting details in the same texts of Rossi ( ibid., pp. 39 ff. passim, and in particular his long letter to Monsignor F. Ingoli on pp. 55-61). One must realise, however, that this mass of information recorded by Rossi has been written up from one angle and is not supplemented even by the Athonite documents of the Turkish period. The relations between Athos and the Jesuits were maintained for some time after his. Thus, for example, in 1644 the monastery of Lavra granted to Father d'Autry a small ruined chapel belonging to the monastery in the centre of Thessalonica; but negligence on the part of the French consul combined with the outbreak of the Turko-Venetian war (1645-1669) prevented the necessary repairs. In his desire to do the monks of Lavra some service, d'Autry put in at Malta on his return to France in 1650, and managed to extract a document from the Grand Master of the Knights of St. John, which put the monastery under their protection and ensured it freedom from piratical attacks. On the other hand, by trading on his friendly relations with the monks of Athos (with those of Lavra in particular), d'Autry essayed to found a Jesuit monastery on the Mountain, though for some unknown reason his efforts were not in the end successful . 1. See Gregoriou, Σχέσεις, pp. 162-164. On the subject of these relations and for other interesting information, based on documents which escaped the attention of the indefatigable Jesuit researcher, G. Hofmann, see pp. 173-180. 2. See description of the journey Thessalonica - Kavala - Thasos in Henri Omont, Missions archéologiques françaises en Orient, Paris 1902, vol. 2, pp. 1028-1037. See also the same material in M. L. Aimé - Martin, Lettres édifiantes et curieuses concernant l'Asie, l'Afrique et l'Amérique avec quelques relations nouvelles des missions et des notes géographiques et historiques, Paris 1838, vol. 1, pp. 83-88. See also p. 34. 3. Aimé-Martin, ibid., 1, p. 91.
reference to it in a firman of 25 July 1702, calling upon the ecclesiastical courts "of the left side of Rumeli" (i.e. the Greek lands) to take measures to stop the spread of Catholic propaganda. In the firman the Sultan states that the Catholics have succeeded in proselytizing a large number of Greek, Armenian, Chaldaean  and other Orthodox monks, and he commands that those who have been led astray should return to their former allegiance. He continues: "If in future, unable to learn sense and venturing upon intrigue, they continue in this wise — under the cloak of priesthood — to slander the aforementioned Christians, after you have made quite sure of the facts, you are to arrest and imprison them, referring their names and identities to the city of My Blessed Majesty" . Nevertheless, a number of long tours were made by determined Jesuits, and there were instances of their reaching quite inaccessible corners of the country. Father Matthew Piperi (Πιπέρης? ), for example, visited the Greek settlements on Olympus and in the regions of Pelion and Ossa (Kissavos). He found that the people of those parts had endearing manners, but as regards religion they were, in his opinion, little better than savages . 1. By 'Chaldaeans' are meant perhaps Vlachs. 2. 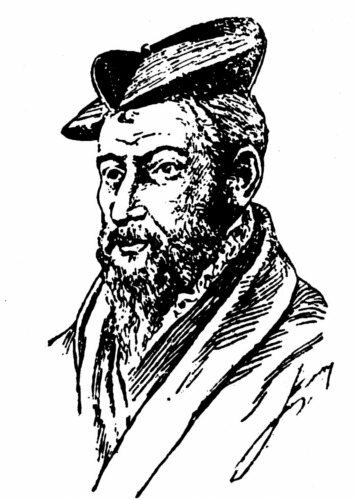 Vasdravellis, Ἀρχεῖον Θεσσαλονίκης 1695-1912, p. 43. See also pp. 179-181. See, too, Gennadios Arabatzoglou, «Φωτίειος Βιβλιοθήκη», Constantinople 1933, part 1, pp. 11 ff. 3. Aimé-Martin, Lettres, 1, p. 34.